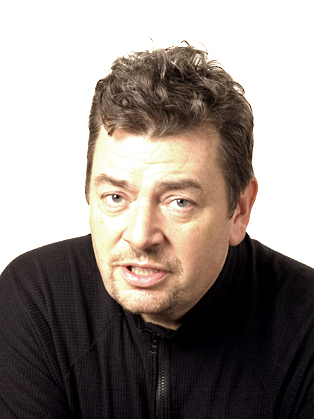 David Aaronovitch is one of the best-known journalists and current affairs broadcasters in the UK. David has won several national awards and has worked for ITV, the BBC, C4, C5, The Independent, The Guardian, The Observer and The Times. He appears regularly on Any Questions and Question Time. He is a much sought-after debater and speaker at a wide range of events and occasions, ranging from political party conferences and international policy forums to corporate events. David was the interviewer and executive producer on the major BBC1 series, The Blair Years. This involved eight hours spent interviewing Tony Blair in front of the cameras, and several off-the-record meetings with Mr Blair, both before and after his departure. In the process of making these programmes David also talked to and interviewed leading international figures such as President George W. Bush and Kofi Annan as well as a wide range of former Cabinet Ministers, top civil servants and ambassadors. David’s fascination with some of the more arcane aspects of public life and debate lead to Voodoo Histories, his book on the impact of conspiracy theories. In the book he carefully probes and explodes a dozen of the major conspiracy theories of the modern era. The book looks at why our age is obsessed by the idea of conspiracy, asks why quality newspapers and series TV channels are prepared to give these theories credence, and outlines his argument for a true scepticism: one based on a thorough knowledge of history and a strong dose of common sense. His latest book published in 2016 is a fascinating journey into the Author's early year in London and the discovery of communism in his Family.